200 pages | 76 B/W Illus. Through the author’s experiences, investigations and discussions with artists, art therapists and inmates from around the world, Art and Art Therapy with the Imprisoned: Re-Creating Identity comprehensively explores the efficacy, methods, and outcomes of art and art therapy within correctional settings. The text begins with a theoretical and historical overview of art in prisons as a precursor to exploring the benefits of art therapy, followed by a deeper exploration of art therapy as a primary focus for wellness and mental health inside penitentiaries. Relying on several theoretical perspectives, results of empirical research studies, and case vignettes and illustrations gleaned from over 25 years of clinical and programmatic experience, this book argues why art therapy is so beneficial within prisons. This comprehensive guide is essential reading for professionals in the field, as well as students of sociology, criminology, art theory, art therapy, and psychology who wish to explore the benefits of art therapy with inmate populations. "This book offers inspiring stories of how art humanizes the despair of incarcerated people. David Gussak thoughtfully presents how hopelessness, transformed through the freedoms of imagination and art, becomes expressive passports for aesthetic self-determination." "Art and Art Therapy with the Imprisoned draws on David Gussak's renowned experiences and remarkable history of art therapy in prisons as a clinician, researcher, educator, and advocate. David Gussak's vast knowledge, pioneering work, and valuable vignette examples of facilitating art therapy in correctional systems and with individuals who are incarcerated fill the pages of this text with an abundance of practical resources and empowering, creative considerations for art therapy practitioners in this setting." "Art and Art Therapy with the Imprisoned is a most welcome addition and expansion on Dr. Gussak’s previous work. Its importance has undoubtedly gained great respect and momentum over time and the new book makes a substantive and unique contribution to the profession of art therapy for professors, students, and practitioners." 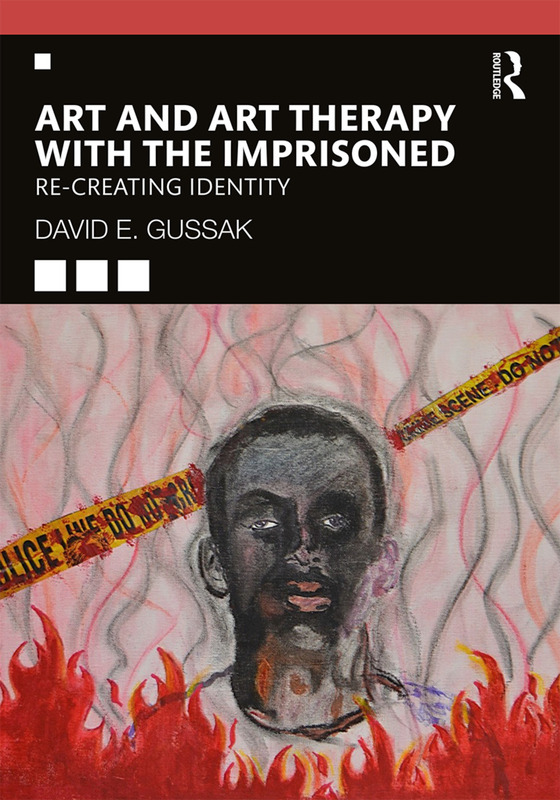 "With a courageous and engaging post-modern flair, Dr. David Gussak offers a well-researched compendium that illuminates the healing potentials of artistic engagement with people who are incarcerated. Gussak’s contemporary work is action-based and helps the reader distill more clearly the interactive systems involved with incarceration, the consequent effects on the psyche, and the power of art therapy to help people feel, and be, more human." "A cogently written text demonstrating convincingly the use of art as a metaphor of self-awareness and self-study, and as such its powerful therapeutic potential for change. Art is a particularly effective tool in a context of incarceration in light, also, of shared elements such as time and solitude and the book ably shows how the transformation of matter may parallel and accompany the transformation of a life story." David E. Gussak, PhD, ATR-BC, professor of art therapy at Florida State University, has published and lectured widely on art therapy with forensic populations. He is the author of Art on Trial: Art Therapy in Capital Murder Cases and co-editor of the Wiley Handbook of Art Therapy.